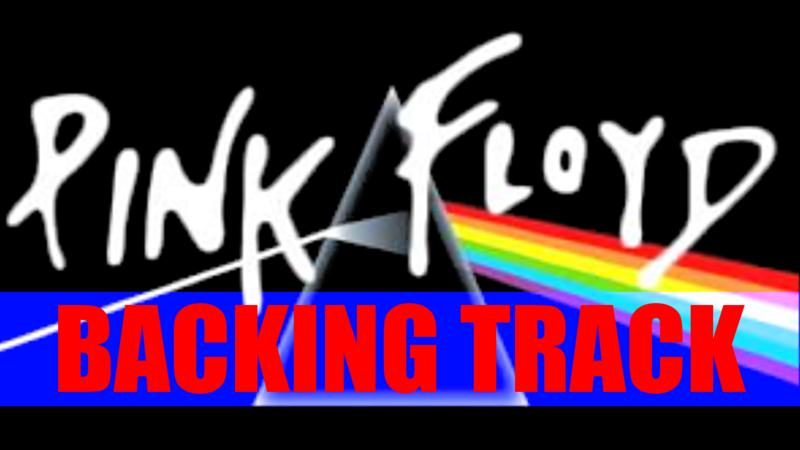 Here is the extended version of the backing track I used in the lesson on how to sound like David Gilmour. That Solo was only a minute or so long, whereas this track has been extended to over 5 minutes. The track mostly follows chords that would fit in D major, although there is a chord right at the end of the sequence that is ‘borrowed’ from D minor. 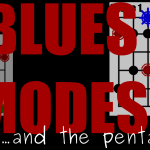 Read my lesson on borrowed chords for more on how that works. Anyway, for that chord you’re going to probably need to change the scale you’re using, as I do in the example solo. This isn’t always the case, however, as I explain later. For now, here’s the track. As I already said, this track uses chords from the key of D major. There are also two main sections of 4 bars each- marked by different chords, and a different drum pattern. The first section is just E minor and A chords. I like to think of it as more of an E dorian vamp. Of course, if you used the E dorian mode over these chords, you’re playing the same notes as the D major scale. I’m just thinking in terms of dorian because there is no D major chord here. If this section were to continue on forever, it wouldn’t feel like it was in D major at all. So, you can use D major scale shapes over the whole thing, but I prefer the E minor pentatonic scale for this section. I then add in the C# on the 14th fret of the B string to the first shape at the 12th fret (just imagine the open A chord moved up 12 frets). This part ramps up the intensity a bit and goes from a simple vamp between two chords, to a progression. For the first three chords (Bm – A – D) you can continue to use the D major scale, but- again- this might be a bit boring. In the example ‘Sound like Pink Floyd’ solo that I did for this track, I used the B minor pentatonic here. 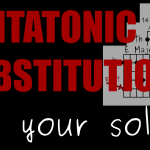 B minor pentatonic is the same notes as D major pentatonic- so we’re not doing anything too radical. I just feel that pentatonic scales are a bit ‘meaner’ and have a bit more grit than the full major scales. I can almost hear some of you thinking “…but it’s in D major, and you’re saying to use scales that have the same notes as D major…”. I think the point here is that it’s the way you’re thinking about it. 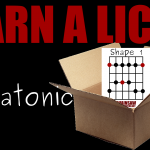 If I’m thinking ‘B minor pentatonic’ over the B minor chord, I’ll start to use my B minor pentatonic licks, and get that sound. It doesn’t matter that those notes are also in D major, because in my head it’s B minor. This might be a bit difficult to understand at first, but it’s really just different ways of thinking about the same thing. If you’re thinking differently, you’re probably playing differently. Now, here’s the more interesting part. The C major chord right at the end of the progression is actually ‘borrowed’ (or ‘stolen’) from D minor. This is something that songwriters and composers do fairly often. If you understand your chord theory, we’re substituting the 7th chord of the major scale (which would be diminished) with the 7th chord of the minor scale (which is major). So we get C major, instead of C# diminished. If you don’t understand the theory, just know that the whole track is in D major, apart from this one chord, which is in D minor. This means changing to the D minor scale for this chord. You don’t have to change to the D minor scale, you could go for C major, or C major pentatonic. Anything that you would usually use over a C chord will work here. I’ll leave it to you to experiment a bit with different ideas. If you really want to sound like Pink Floyd, I suggest checking out my original lesson which includes guitar setup, and specific scales to use. 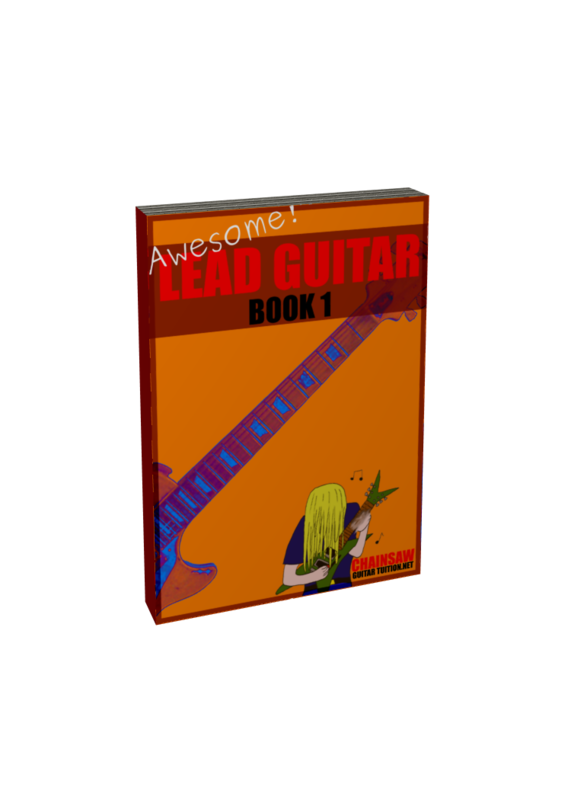 If you enjoyed this lesson, you can get a copy of my new book ‘Awesome Lead Guitar’, which is out now. 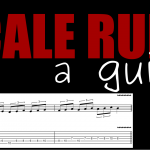 In it you’ll learn the most common scales and techniques that lead guitarists use with full scale diagrams and tabs! 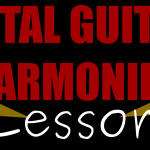 Then, you can practise along with the 17 included full solo examples and backing tracks! Click here now for more.